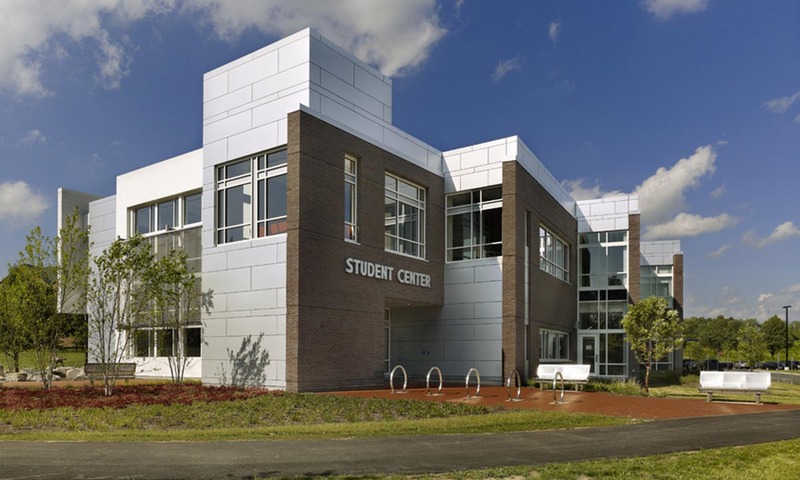 A two-story, multi-purpose hub for student activities at SUNY Institute of Technology. 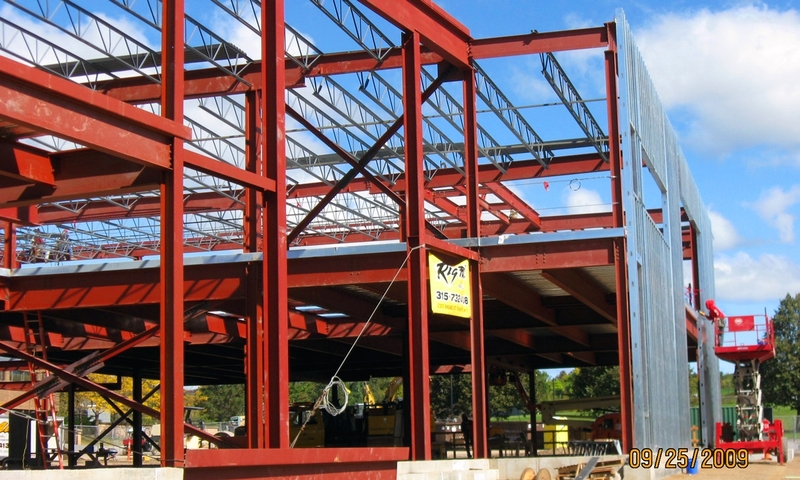 Structural system includes steel and concrete composite framed floors. Common spaces include two-story areas with wind columns, curtain wall systems providing an open environment and floor plan. 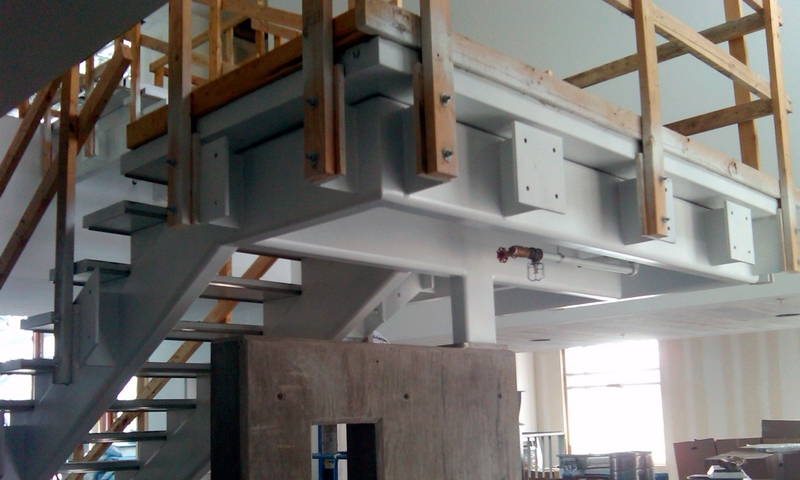 Specialty feature staircase design included steel tube stringers and glass handrails. 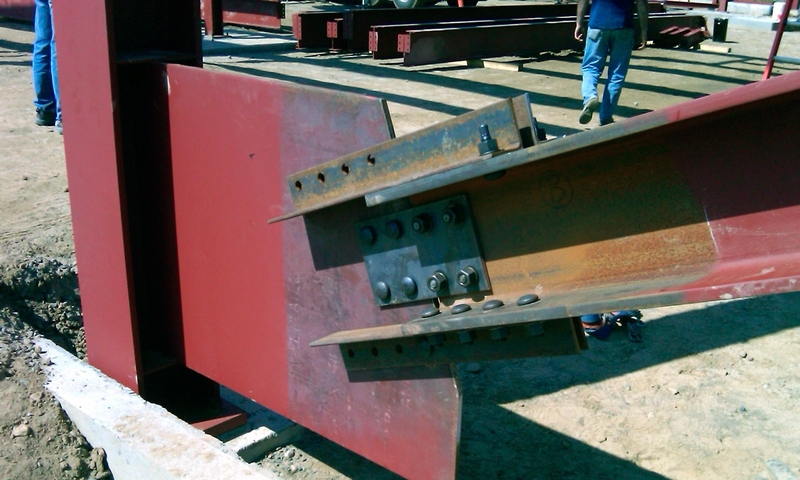 Large windows and exterior masonry walls required special consideration to relief angles and masonry joints.